Additional members of Walsh’s team were authors on either or both studies. Nikos Karavas, Ph.D., Brendan T. Quinlivan, Danielle Louise Ryan, Asa Eckert-Erdheim, Patrick Murphy, Taylor Greenberg Goldy, Nicolas Menard, Maria Athanassiu, Jinsoo Kim, Giuk Lee, Ph.D., and Ignacio Galiana, Ph.D., were authors on the ICRA study; and Jinsoo Kim, Lauren Baker, Andrew Long, Ph.D., Nikos Karavas, Ph.D., Nicolas Menard, and Ignacio Galiana, Ph.D., on the JNER study. 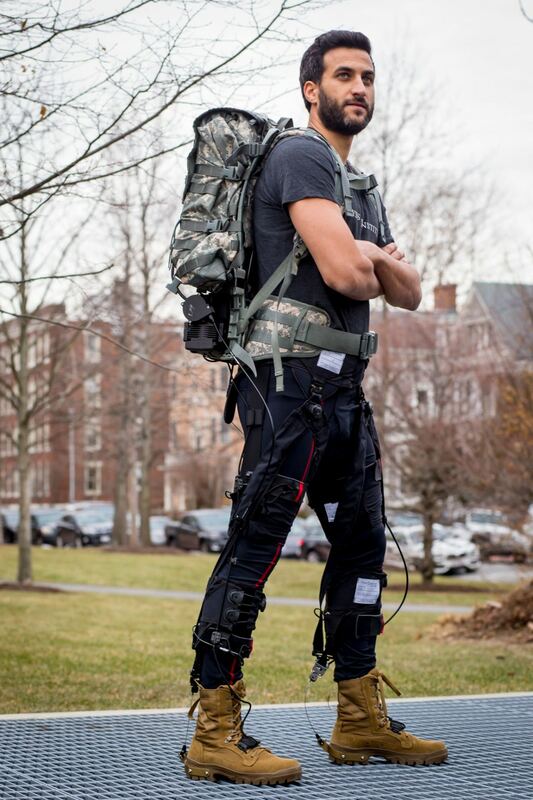 The studies, in addition to DARPA’s Warrior Web program, were funded by Harvard’s Wyss Institute and SEAS.